How to Change the Orchestrator Database ? You might have to change the location of the Orchestrator database after installation, because you might want to separate the management server and database server, move the database to a larger server or a cluster, or just reconfigure the orchestration database based on required changes in your environment. You can use standard Microsoft SQL Server methods to move the existing database to another server, but then you must configure the Orchestrator features to connect to the new server. You must perform this configuration for the management server, the web service supporting the Orchestration console, and each runbook server as described in the following procedures. 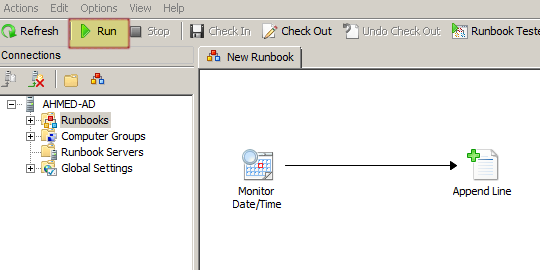 To change the database settings for the management server and runbook servers. 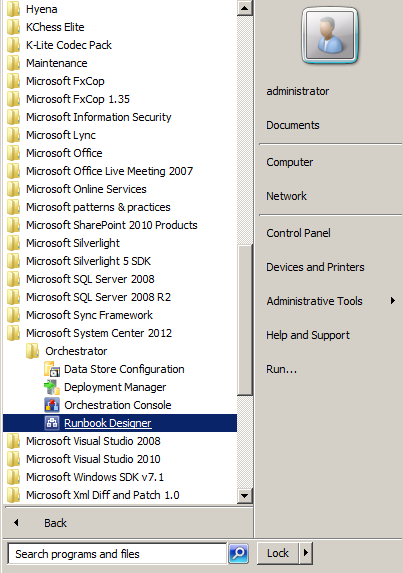 On the management server, click Start, point to All Programs, click Microsoft System Center 2012, click Orchestrator, and then click Data Store Configuration. In the Server box, enter the name of the server that is hosting the database by using the format \,. You can click the ellipsis (…) button to select the computer. You do not have to include the instance if the Orchestrator database is installed on the default instance. You do not have to include the port if SQL Server is usually installed on the default port 1433. If the Orchestrator database is installed on an instance called MyInstance on a computer named MySQLServer that is configured on port 12345, enter MySQLServer\MyInstance,12345. If the Orchestrator database is installed on an instance called MyInstance on a computer named MySQLServer that is configured on port 1433, enter MySQLServer\MyInstance. If the orchestration database is installed on the default instance on a computer named MySQLServer that is configured on port 1433, enter MySQLServer. – Windows Authentication Connect to the SQL Server by using Windows Authentication. – SQL Server Authentication Connect to the SQL Server by using a SQL Server user account. Type the User Name and Password of the SQL Server user account. This account must have rights to create, write, and own a database and create, update, and delete rows in the database. In the Data Store pane, click Use an existing database. In the Name list, select the databases. The web service supporting the Orchestration console does not use the Settings.dat file. To change the database settings for the web service, you must modify the Web.config file on the Internet Information Services (IIS) server. You can use IIS Manager to modify the file, but you must first decrypt it by running the aspnet_regiis.exe executable file. Log on with administrative credentials to the computer with the Orchestration console installed. Open a Command Prompt window with administrator credentials. To start the IIS Manager, click Start, point to Administrative Tools, and then click Internet Information Services (IIS) Manager. Expand the Sites node, and then click Microsoft System Center 2012 Orchestrator Web Service. In the Features View, double-click Connection Strings. 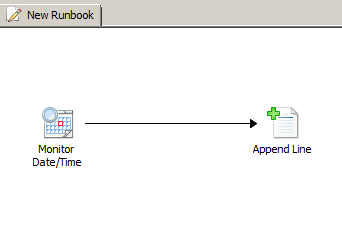 In the Connections String pane, double-click OrchestratorContext. In the Custom box, scroll down to the portion of the string that includes the server name (Data Source) and database name (Initial Catalog). Modify these values as required. This entry was posted in Automation, Scripting, Walkthrough and tagged Databases, Orchestrator, Orchestrator web service, OrchestratorContext, Runbook, System Center. 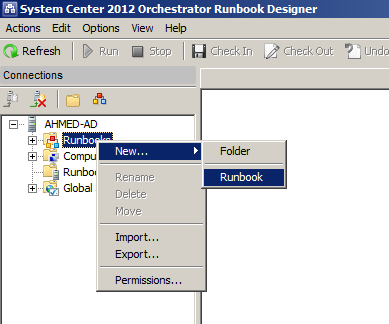 On the New Runbook Area, We will drag and drop some Activities from the Activities List on the right pane. 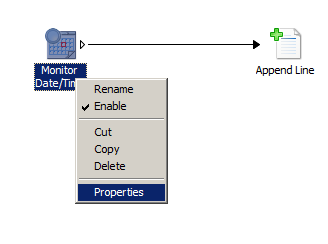 From the Scheduling tab, select Monitor Date/Time activity, and from Text File Management Tab, select the Append line activity, draw a link between the both activities. 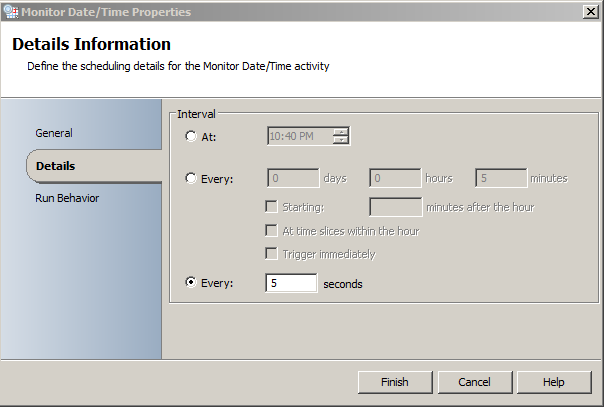 Now, we need to configure the properties of both activities, Right-Click on Monitor Date/Time Activity to set its Properties. 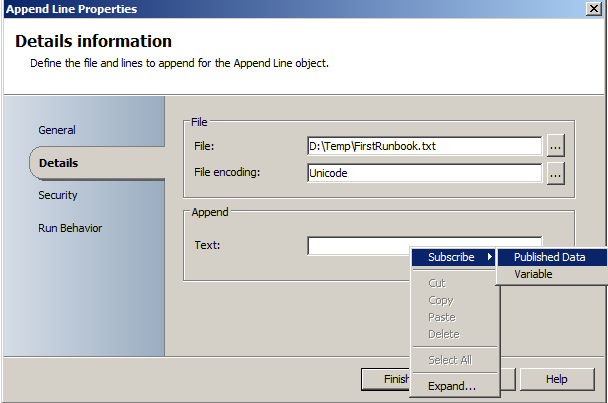 For the Append Line Activity, Right-Click on it to set its properties. 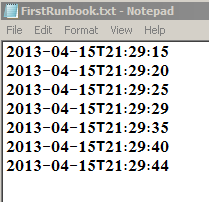 Now our runbook is ready for Run, Click Check In from the top bar. Note that the Run button is Activated, Click on it. Check the Out-put file, it should be something like this, Good Luck ! This entry was posted in Automation, Scripting, Walkthrough and tagged Orchestrator, Runbook, System Center.